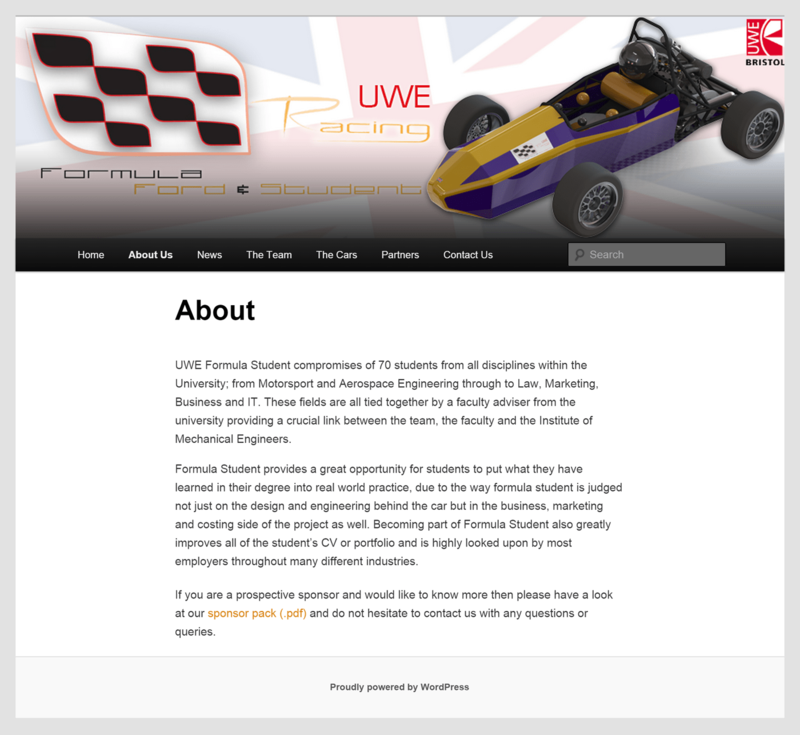 UWE Formula Student consists of a team of highly motivated students who are striving for success in the international Formula Student competition. As an extra-curricular activity, it provides a great opportunity for practical application to students studying a variety of degree disciplines. During my time at University, I worked on many different parts of the project including electrical systems, website design and media. Upon starting University, I joined the relatively new Formula Student team. At that time they did not yet have a website, having only just created social media pages. 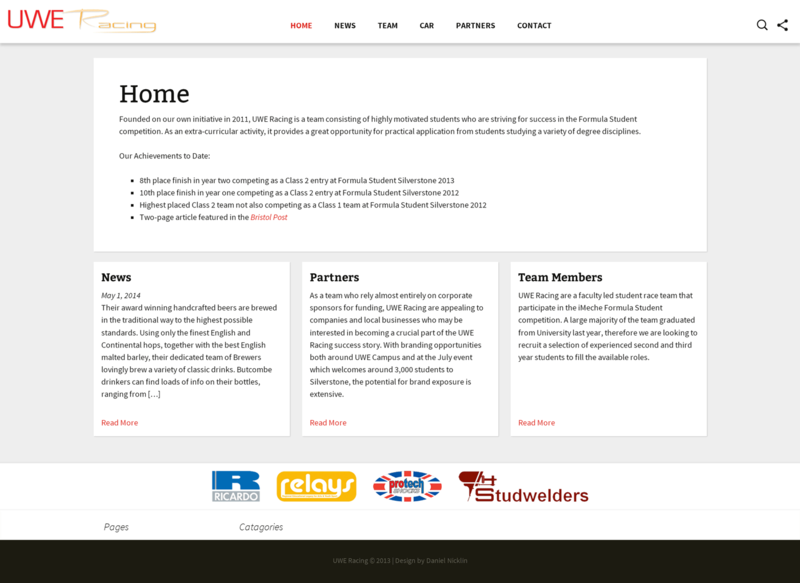 While I began to learn new skills in mechanical design and manufacturing, I used my existing skills and expertise in graphic and web design to create the team’s first website and blog. WordPress was chosen as the platform to run the site on as it appeared to be a powerful yet simple to use application. As a popular platform, there was a wealthy online community providing technical support and various plugins designed to add specific functionality to any site. Initially changing the look and feel of the site was achieved through selecting different themes and uploading our own images. The themes provided with WordPress had limited functionality but displayed content in a simple and effective manner. Over time the themes were modified through HTML and CSS to display the content as desired, changing the layout, adding widgets and coding plugins. This year the website was completely redesigned in accordance with the University’s new website design. The homepage was updated with high resolution graphics and a flickering video effect. Overall the design was clean and consistent over all pages. Over the past four years all aspects of the team’s media have changed drastically. 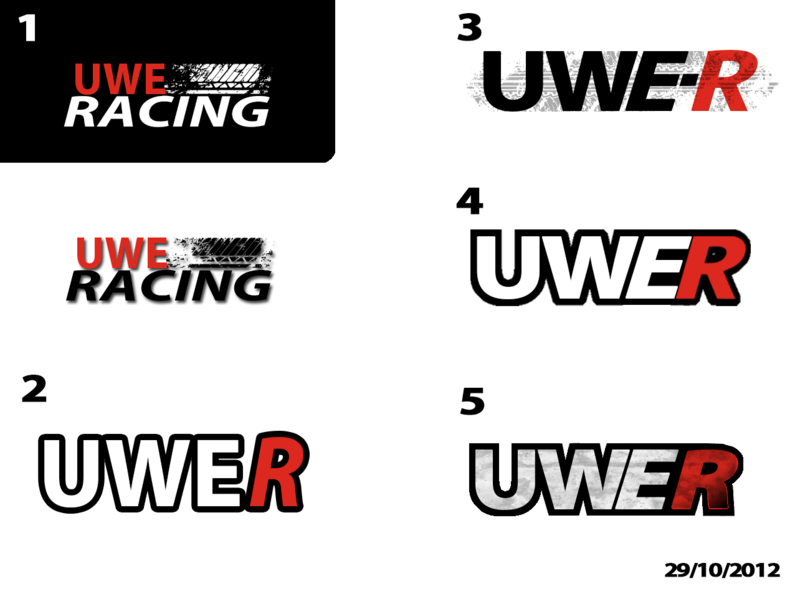 Not only the website but also the team’s name, logos and promotional material have changed every year in order attract new sponsorship partners. One of the major systems that did not get any much needed testing before the event were the brakes, this proved to be our Achilles heel. During the final scrutineering event which was the brake test, even after multiple attempts we still failed to lock up all four wheels. 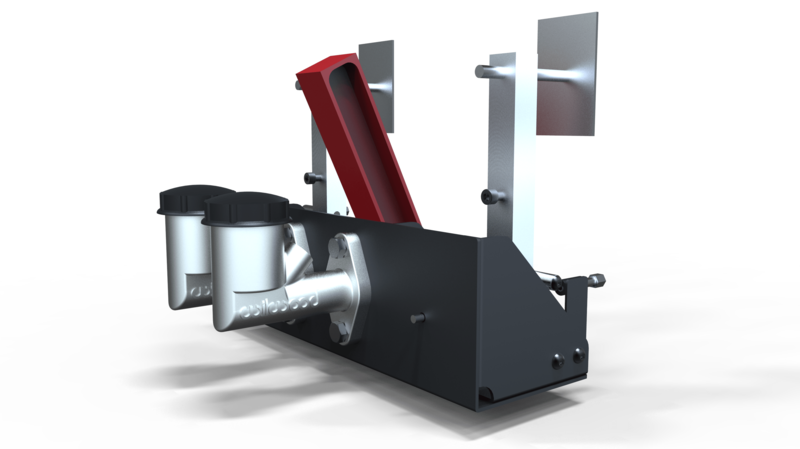 There was a lack of pressure in the braking system, which was due to flexibility in the pedalbox. During the event we had made numerous attempts to strengthen the assembly using whatever scraps of metal we could find and weld on. Unfortunately this was not enough and we ended up damaging the pedalbox in the final brake test. 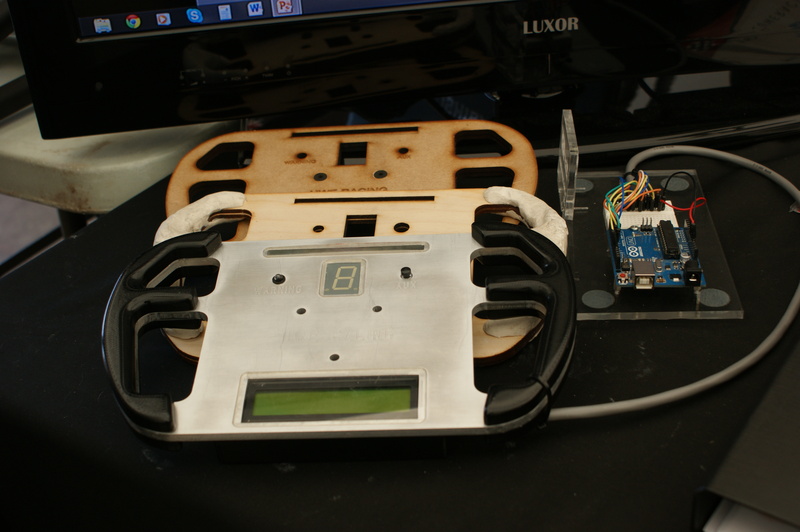 During the summer after the event, I modified the existing pedalbox and improved the way in which the cables were actuated. The box was laser cut out of 3mm mild steel, this eliminated any possible flexibility, even under the test load of 2000N. Modifications were also made to allow for easier assembly and adjustment of the throttle and clutch cables. 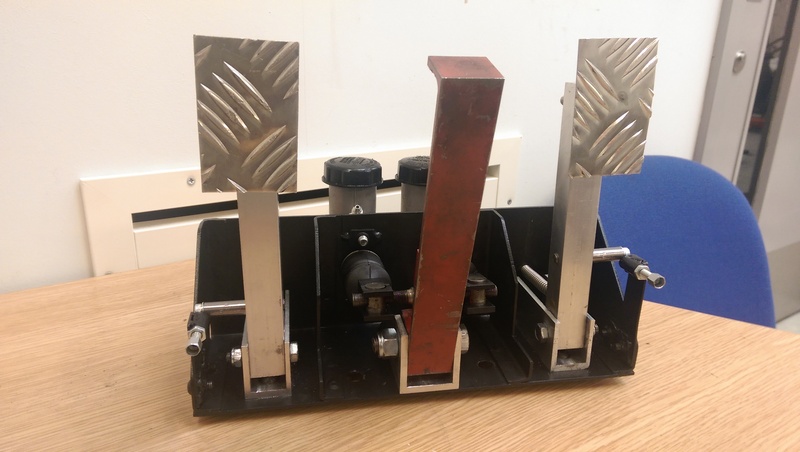 When installed back in the car, there was a noticeable difference in the stiffness of the brake pedal, all four wheels locked up with minimal brake pedal travel. 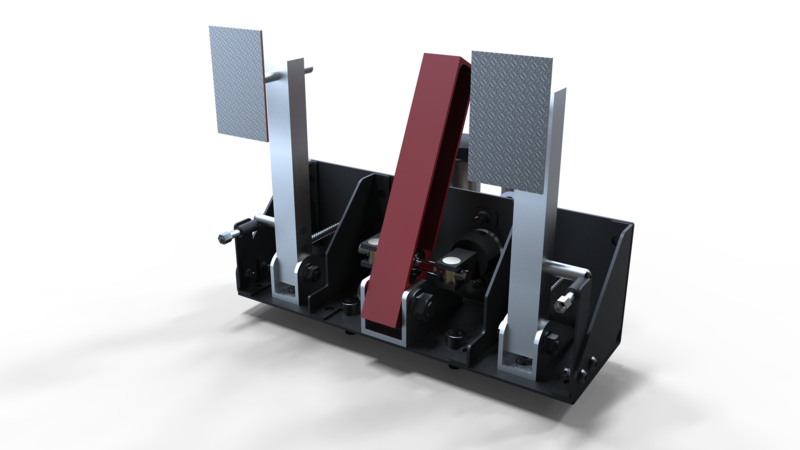 I have made the files for both the electronic steering wheel and the pedalbox available on Grabcad. 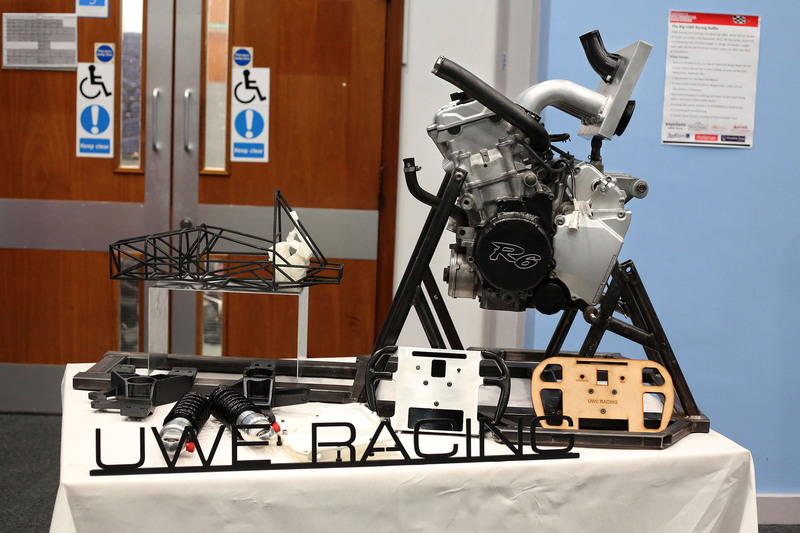 I hope they will be of use to Formula Student teams looking for inspiration or hobbyists looking for a fun project. 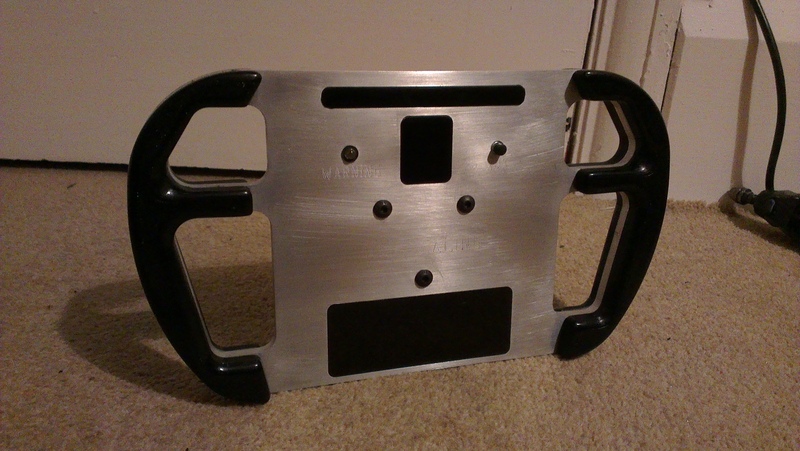 Unfortunately the assembly of the steering wheel had to be rushed. 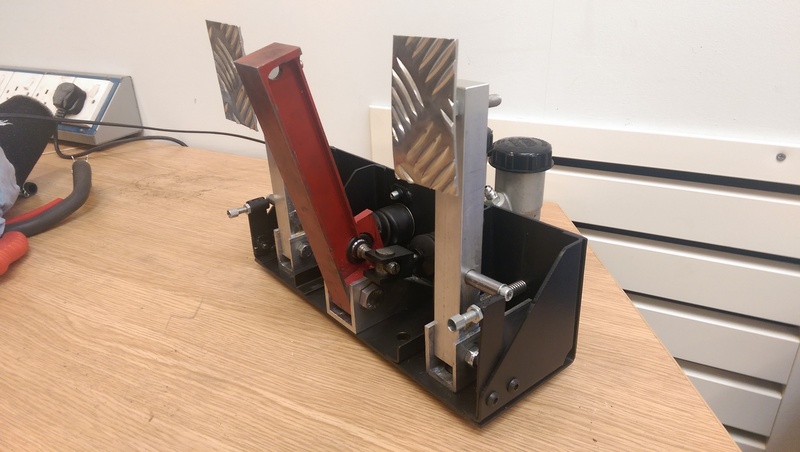 This was in order for it to be finished in time for the formula student event last year. Even though it was not quite complete, we still took and displayed the model. Alongside the other prototypes it attracted a lot of attention and provided topics for discussion with the judges. During some free time after the event, the steering wheel was cleaned up and vinyl tint was applied to the display covers. It will now act as a display model for future events. 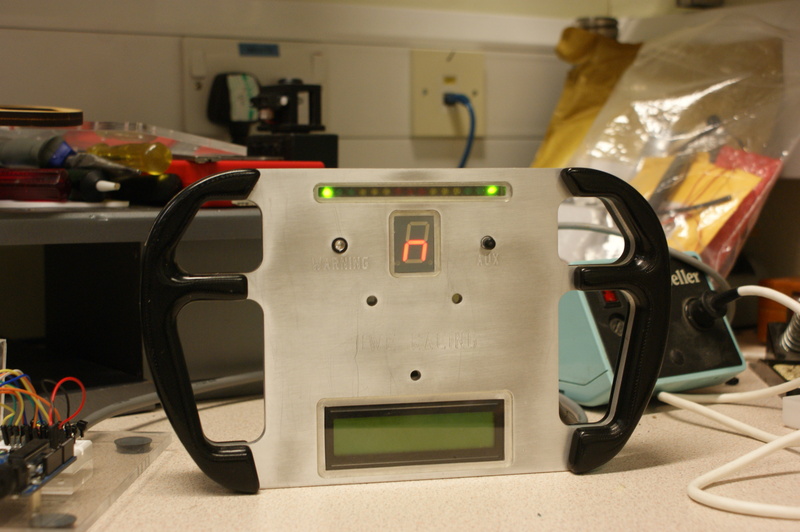 The model is popular as it can be picked up, handled and inspected closely quite unlike a CAD model. The team this year will hopefully progress with the experience that was obtained by building this for the first time. There was many mistakes in both design and manufacture that can now be easily overcome with foresight and planning. Keyshot was used to render views of how the steering wheel could of looked if it was complete and functional. The software allowed for easy selection of material properties and lighting conditions. 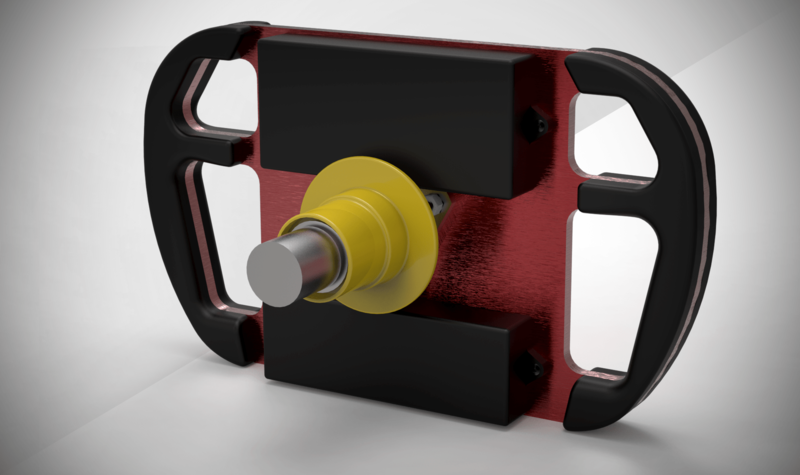 The outcome is a professional and realistic render. 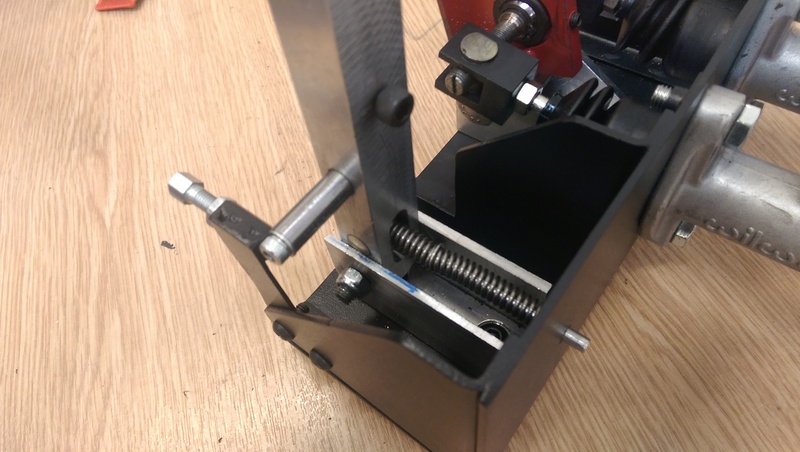 Finally, even though the event was last July, I have now finished blogging about the design and manufacture of the steering wheel project. 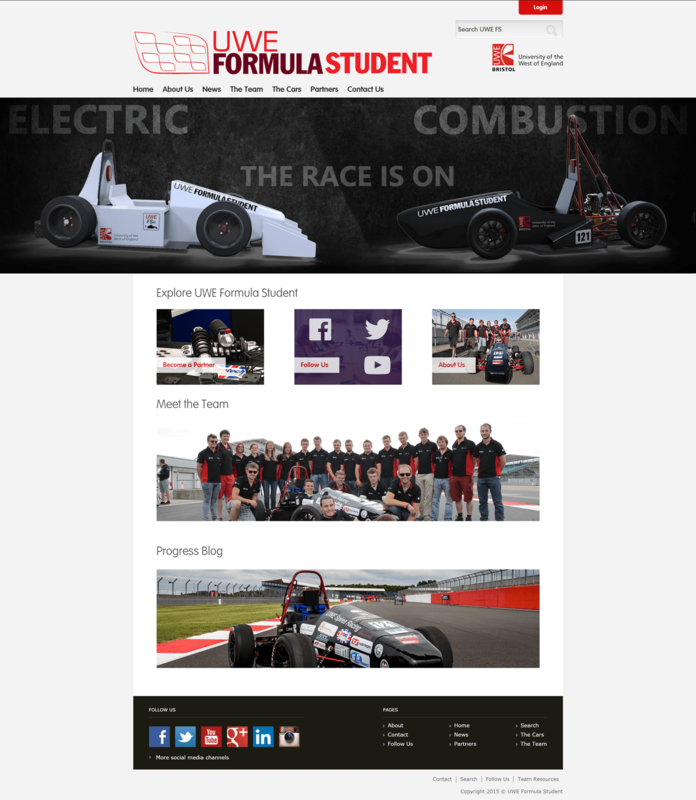 I will still be involved with Formula Student for another year so expect more posts in the future.